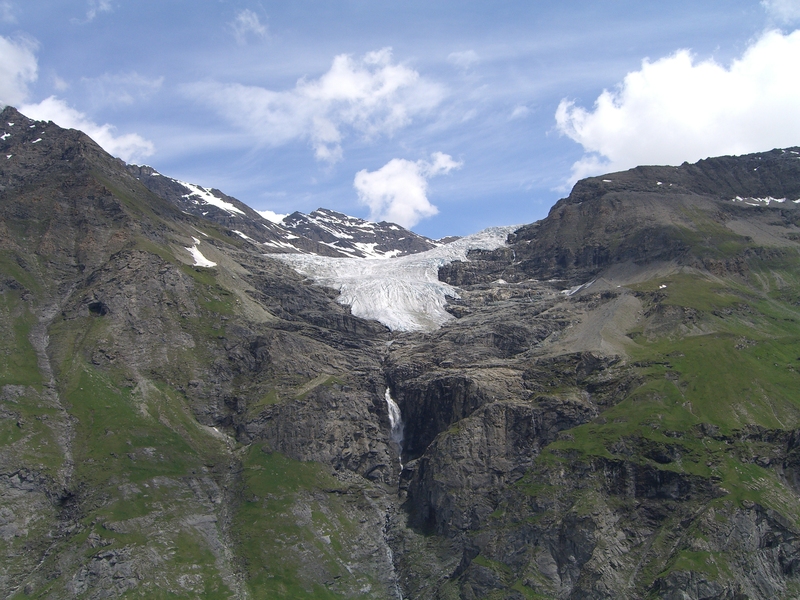 Glacier du Giétro is a temperate valley glacier located in the south-western Swiss Alps. The glacier currently covers an area of 5.3 km2 flowing in a north-west direction from 3820 m a.s.l. down to 2750 m a.s.l (2017). The mean equilibrium line altitude is 3230 m a.s.l. Ice break-off events from the steep glacier terminus have been documented during the first years of the monitoring programme. 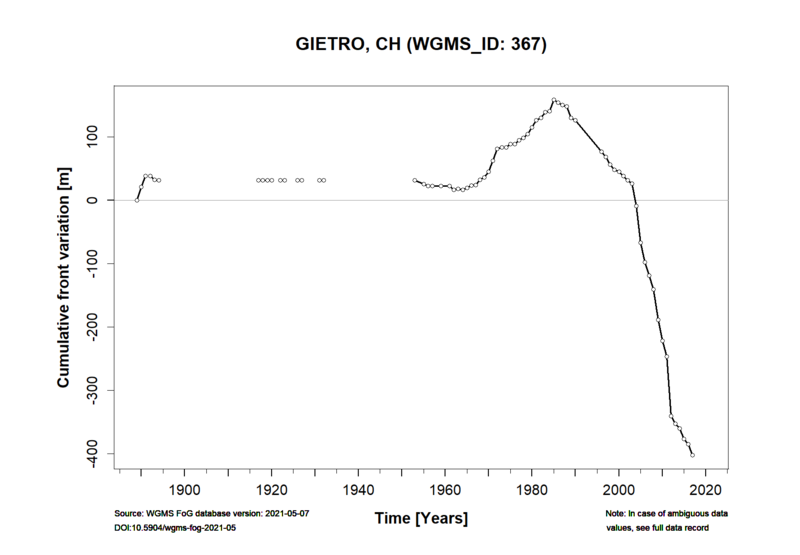 Mass balance measurements started in 1966 connected to the construction of a reservoir for hydro-power production. 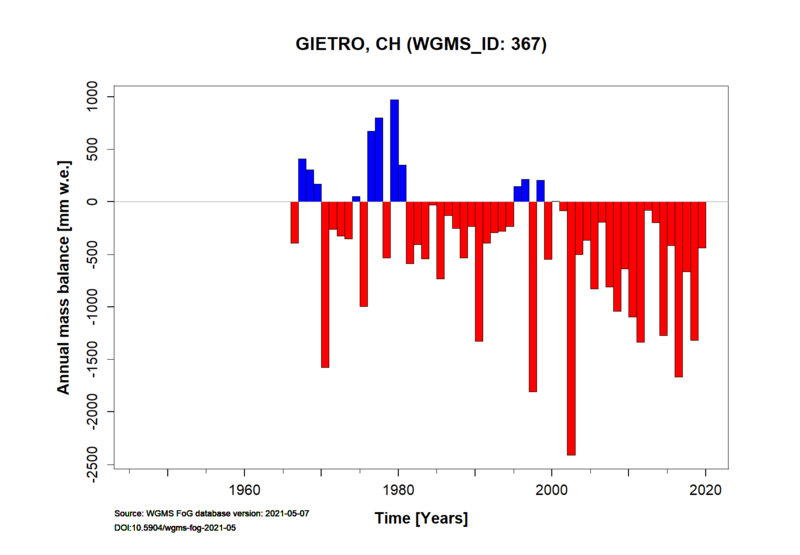 Observations at between four and ten stakes distributed over the entire glacier surface are conducted. Topographic maps or photogrammetrical surveys exist for 1934, 1971, 1985, 1997, 2003, 2008 and 2013 (Bauder et al., 2007). Huss et al. (2015) re-analyzed and homogenized the annual stake data and ice volume changes for the period 1966 to present. 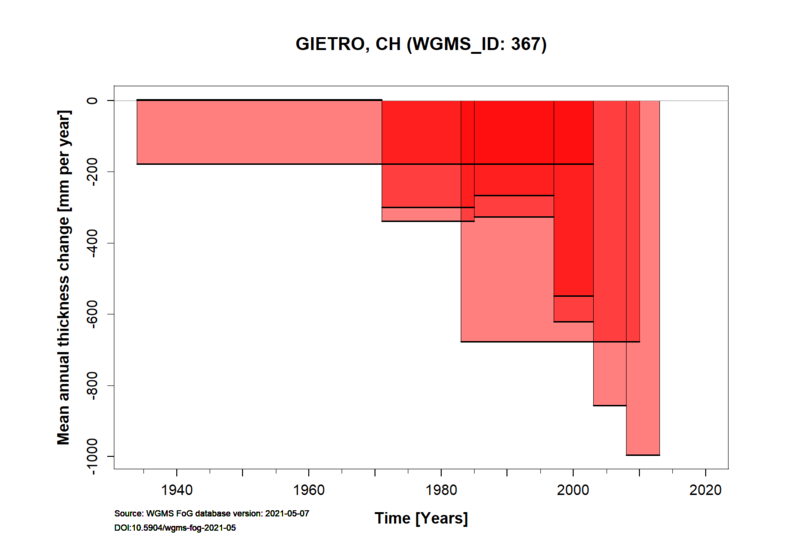 Mass balance measurements are perfromed in the frame of the programme GLAMOS (Glacier Monitoring Switzerland, www.glamos.ch). Height max: 3820 m a.s.l.